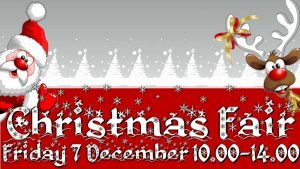 We’re well into our festivities now – what with the Christmas Fair happening la st week! Friday 7th was definitely a busy one! What with having our lovely visiting stallholders as well as our inhouse organisations coming together, we were on our feet from the start. At Developmentplus, we opted to take on the role of organising the whole event; inviting, marketing, logistics, etc. 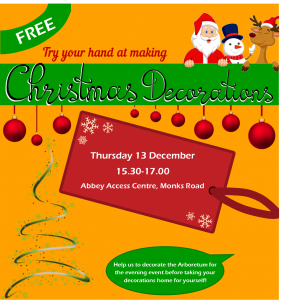 This firstly meant talking about Christmas in October, but we’ll brush over that for now, the keys we found was to make sure all of the stalls complimented each other, that everyone had adequate space without it looking bare and to make sure that marketing and invitations went out to the community. 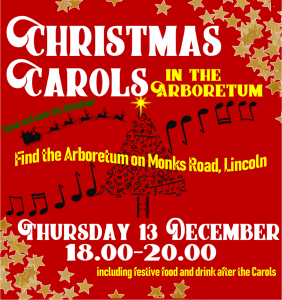 And thus, we go onto the Christmas Decorations Workshop and the Carols in the Arboretum events, both happening tomorrow, both free and open to all! Stay tuned to see how they go…. and we hope to see you there!